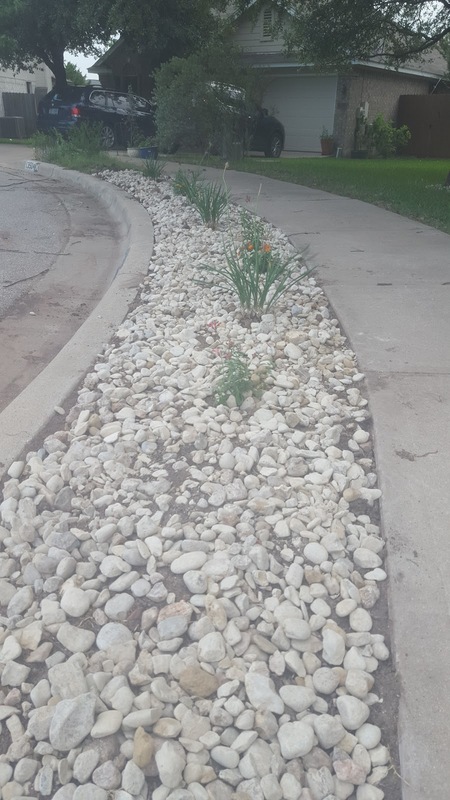 Today, I completed my front rock bed with some additional flowers and…rocks. I only use plants that are natural to the area in order to ensure the least amount of water usage. 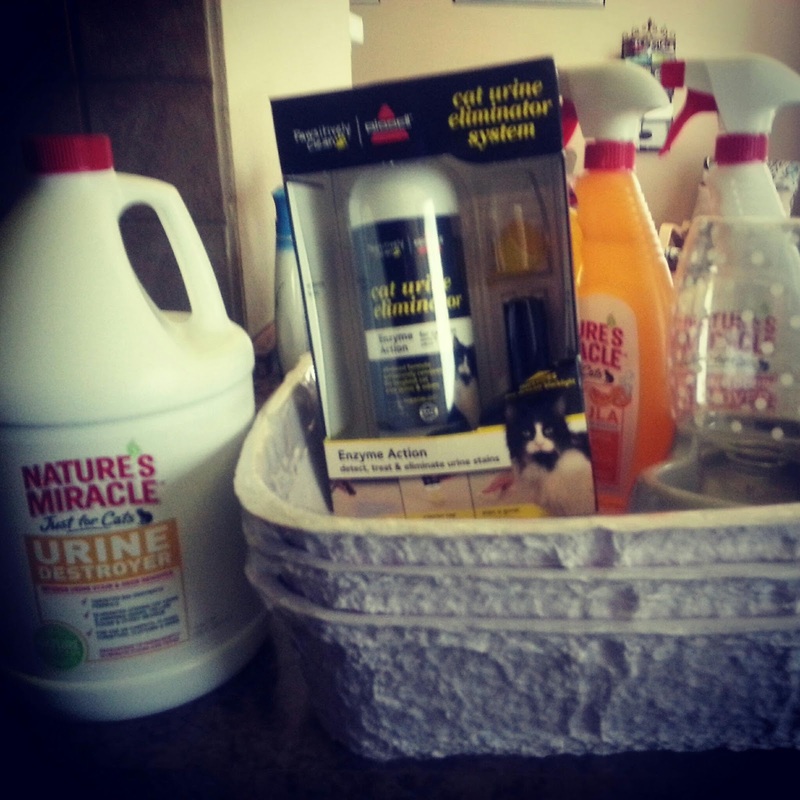 Today, I’m thankful for knocking one chore – even if it’s one I like – off the list! This morning, I awoke to cat pee all over my work bag and its belongings. To spare you the gory details, I’ll just say I’m thankful for washers and dryers…very. I have the two highest maintenance cats on the planet. However, they sucker me in everytime with these moves… Followed by more trouble. 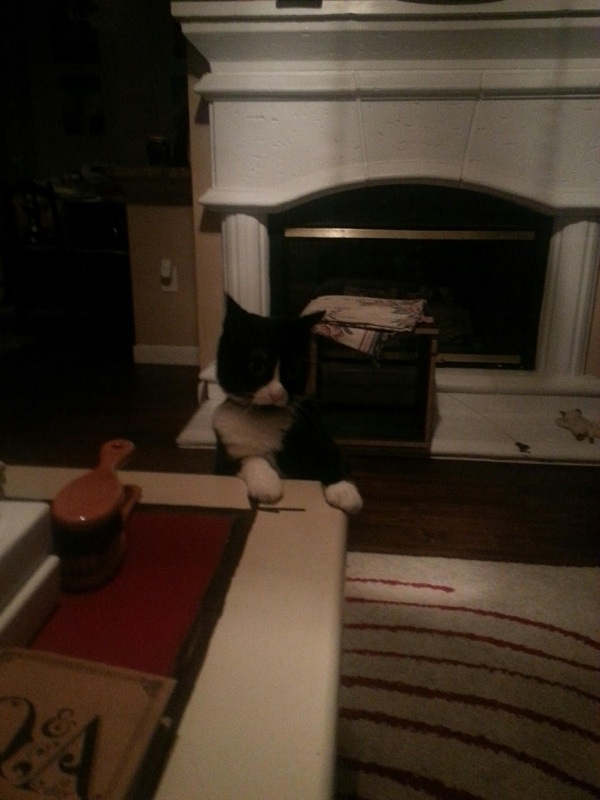 I have two cats, one of whom has an infatuation with peeing on my carpet. So, today, many dollars and a black light later, I am determined to claim victory over it. 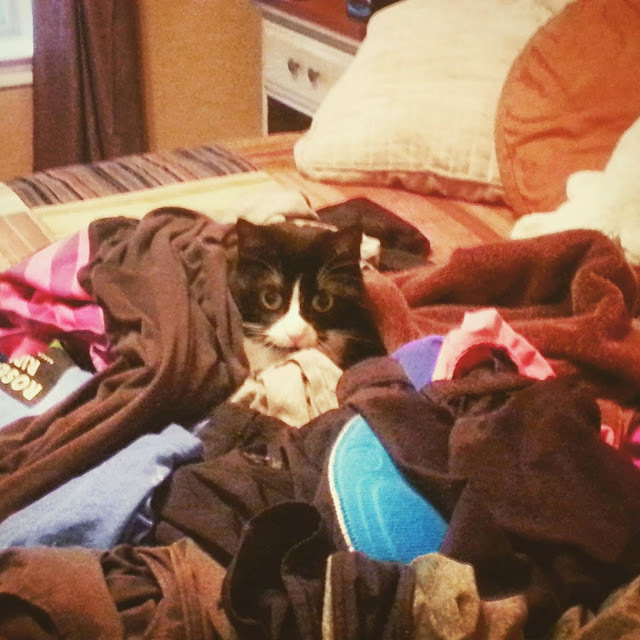 I threw my laundry on my bed to fold, stepped away for a few minutes, and came back to find this sight. 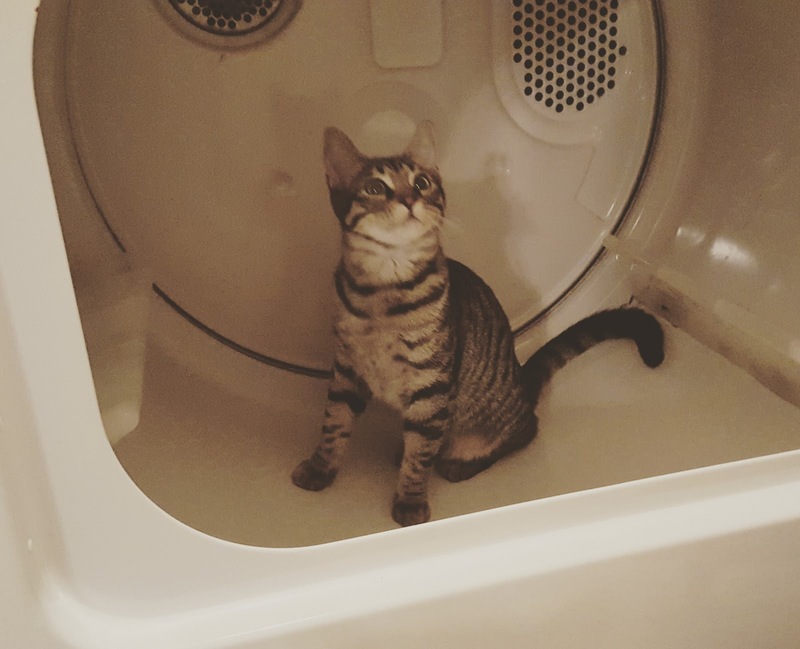 In my laundry dreams, this “cute” sight would actually fold my clothes. My least favorite chore. What’s a chore you’d like to give up?